Yesterday, customers of Fidelity, the third largest brokerage in the world, found themselves unable to access their online accounts. The company is responsible for an estimated 8% of total US wealth management. With such a huge responsibility, Fidelity, like most companies, works hard to ensure clients have access to online accounts at all times. Yet it still happened, reminding investors of the risks posed by digital assets – be they stocks, gold or indeed deposits – held solely through online accounts and platforms – the ‘Single point of failure’. Fidelity is just one of many online “outages” or “glitches” reported by financial institutions in the last year. In Europe, particularly the United Kingdom, banking customers have found themselves regularly facing bank account ‘glitches’. It is thanks to social media that some of these even come to the fore, with many organisations keen to sweep them under the carpet. Investors, savers and, in fact, any user of online services needs to be aware of the risks and how to protect themselves in the case of a sudden ‘access denied’ message or worse, a prolonged period of not being able to access, trade and or withdraw funds from an online account. Prior to online accounts it rarely occurred to users that they could suddenly be without access to funds, unable to make transactions or even receive their wages. Sadly, with the dawn of the internet and growing cyber security risks this is something no-one can afford to be without a plan-B for. Outages can happen for a number of reasons, but many result in customers being unable to transact and being without funds. In the case of Fidelity, it appears to have been an internal error, which also seems to be the common thread among many banking outages. However, cyber security is a major threat to any account that involves personal data and financial information. Just this week Uber finally admitted exposing hackers to over 2.7 million customers’ data, putting savings and futures at risk. We must also consider what happened in Puerto Rico for a lesson in how vulnerable we are should natural disasters impede access to much needed personal funds for days and weeks. Absolute reliance on online accounts and digital cash and digital gold is not prudent. When such accounts can be rendered non-viable in a matter of seconds, there is little recourse for the digital saver and investor should they not also own some tangible assets. 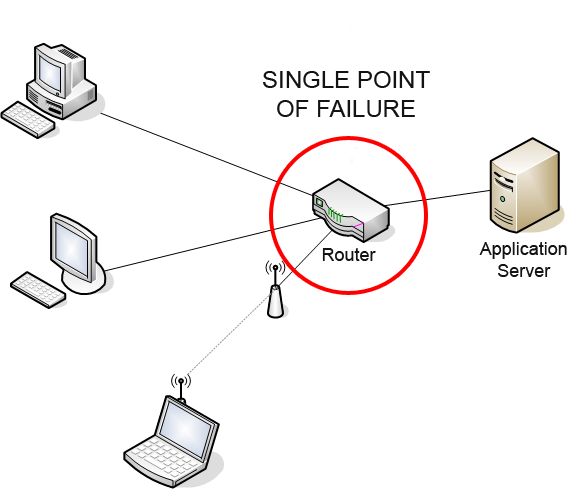 Online account failures are becoming more common. We are increasingly aware of this thanks to social media. Whilst the majority of outages experienced in the West are resolved within a few hours (in the case of Fidelity it was hours) or days, customers are left feeling nervous and frustrated and in some cases they experience real repercussions. Rents are not paid, important direct debits fail and charges are incurred. This last month Lloyds and Halifax Bank of Scotland experienced major issues with accounts. Some account holders not only found transactions weren’t processed but also logged in to be told they no longer had an account with their bank. 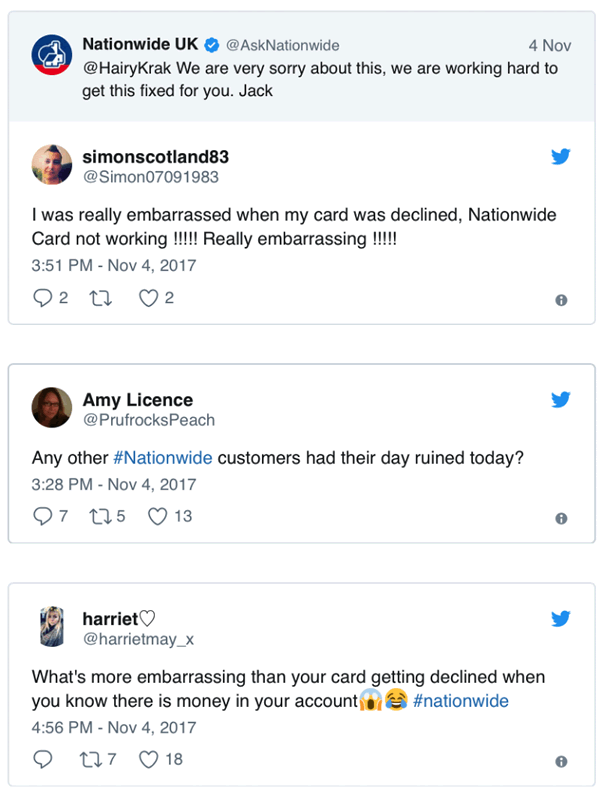 Many customers in the recent Natwest outage were particularly frustrated at the bank’s lack of communication and failure to alert account holders to the problem. Banking outages are becoming so common that we no longer hear reports in the mainstream media of them. Users report to feeling ’embarrassed’ but the reality and severity of the situation and can have far-reaching complications. 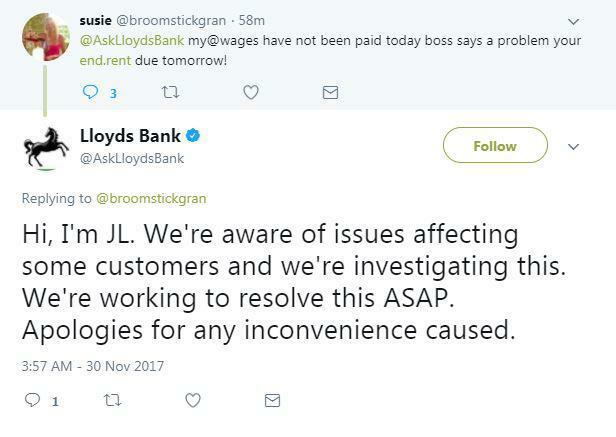 One would have thought that banks would have learnt from the 2012 disaster that was seen in the summer of 2012 for customers of RBS, NatWest and Ulster Bank. Users found they could not access funds for a week or more as account balances had to be manually updated. RBS was fined £56m for the inconvenience and risk placed on account holders. I don’t think I am aware of a single person who has not experienced problems with bank or financial account services. Whether access to, payment issues or information failure everyone I know has come up against such issues in the past. Concern regarding the risks to online customers is so high that the European Banking Authority this week mentioned the growing reliance on online digital platforms as a major risk to customers. What do the majority of people do? Get a bit annoyed then shrug their shoulders and make some comment about ‘banks today’. The same goes for the likes of Fidelity, Uber and TalkTalk, non-banks who have also exposed their customers with little to no recourse for the end user. The lethargy regarding customers’ switching banks is astonishing when one considers the problems that have been caused in recent years. This is for two reasons, the first is because there is little knowledge of the alternatives out there and secondly, because there is a belief that this is just what you have to put up with these days. This is a sad state of affairs. Those who earn and save money have every right to be able to access their funds at all times, for whatever purpose. It is tragic that the digital, online economy has made many feel otherwise. For something that was heralded as giving customers so many more options, it is instead making many feel trapped and without options. Cyber-attacks, natural disasters and technical errors are all very good reasons for those who wish to hold money and data with an organisation to seek out ways to diversify their investments. This is not just in terms of spreading the risks between digital accounts, but also away from solely digital assets. Gold and silver often get a bad rap when it comes to discussions about their role as money. Both are pushed to the bottom of the pile when you consider the convenience of spending on a card, paying out wages or making quick gains when trading stocks and shares. But one thing that is guaranteed with physical, allocated and segregated gold and coins and bars for delivery as offered by GoldCore, is that you know you will always have access and liquidity due to outright legal ownership of bullion. Either with bullion in your possession or with direct ownership in some of the safest vaults in the world. That is not the case with fiat electrons bank accounts or online trading accounts, whether in times of crisis or technical outages. In addition many such platforms force you to only buy and sell through their online account and their online platform and website. Such digital platforms are “closed loop systems” where liquidity and pricing are dependent on a single platform, website and large corporation. A buyer can only buy and sell through that one online platform. An investor is in effect “captive” and massively dependent on that one counter party and a single point of failure. No matter the town, city or country you find yourself in, times such as these pose multiple threats whether military, natural or just digital. Today we still assume banks, companies and governments are competent and will look after our accounts. We cannot bring ourselves to imagine electricity systems and our banking systems including ATMs going down and not having access to our hard earned savings. This is despite it clearly happening increasingly frequently.